My friend got her car damaged she is a student in England and she doesn’t have sore money to fork out on repairs any help would be gratefully appreciated! I am setting up this account of behalf of Demi. 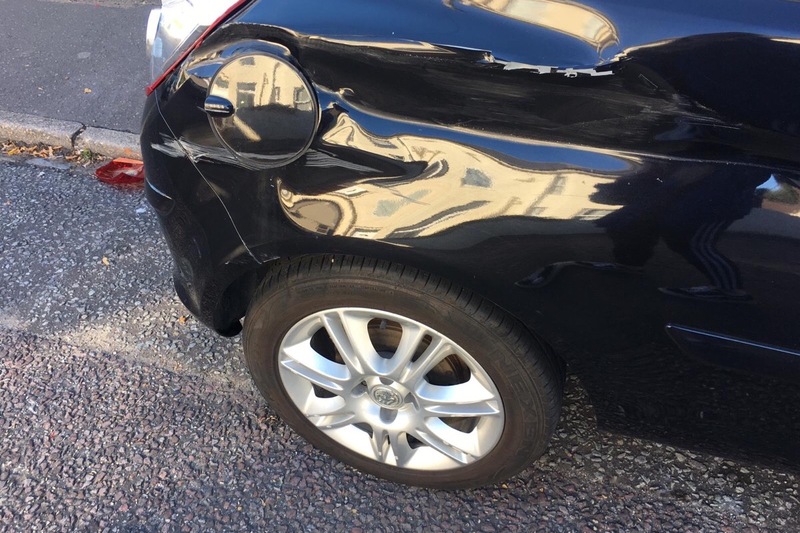 On Friday the 2nd of November at approximately 13:15 Bournemouth, Demi’s car was involved in a hit and run. She was parked on the pavement to avoid anyone hitting her car. She is a very cautious driver and always like to make sure that it is well out of the way. Unfortunately we do not have the Reg number of the vehicle that has caused the damages to her car. So therefore we can not identify the driver and get any help towards the damages to the car. We are asking anyone who can spare £5 to help go towards the repairs of her car , she is a student at Bournemouth University and does not have spare money around. We will be grateful for any spare change that could go towards the repair of the damage.